Mickey & Minnie Y Necklace, Multi-colored, Rose gold plating. Swarovski are celebrating Mickey Mouse’s 90th anniversary and this on-trend Y-shaped necklace is the perfect way to join in the fun. Plated in rose gold, the lariat-style accessory features a chain embellished with a dark crystal, which threads through a clear pavé silhouette of the iconic Disney character. The design is finished with a small Mickey motif embellished in black crystals with our signature Pointiage® technique. A sleek design, full of charm and playfulness, which would be ideal for gifting. Matching items available. Size: 40 cm. Se video lenger ned under beskrivelse. 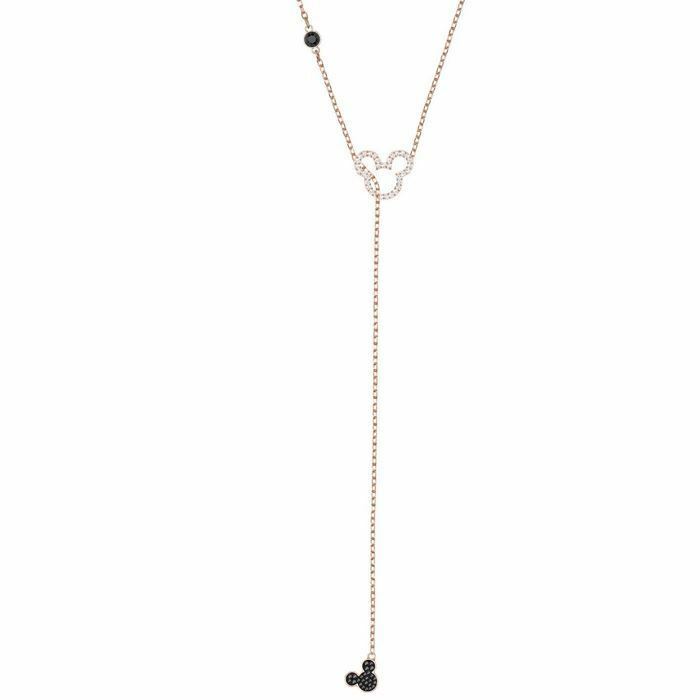 Swarovski are celebrating Mickey Mouse’s 90th anniversary and this on-trend Y-shaped necklace is the perfect way to join in the fun. Plated in rose gold, the lariat-style accessory features a chain embellished with a dark crystal, which threads through a clear pavé silhouette of the iconic Disney character. The design is finished with a small Mickey motif embellished in black crystals with our signature Pointiage® technique. A sleek design, full of charm and playfulness, which would be ideal for gifting. Matching items available.